Welcome to the Acupuncture & Chinese Herb Clinic in Bellevue, WA. Dr. Vaughn Wu is an Oriental Medicine Doctor and a licensed Washington state acupuncturist. She has a Master's Degree in Acupuncture as well as an Oriental Medicine Doctorate Degree and treats patients for a variety of ailments and symptoms with acupuncture and Chinese herbs. Give us a call at (425)456-8880 if you would like to make an appointment or if you have any questions. Dr. Vaughn Wu has extensive knowledge in holistic medicine and is a graduate of Bastyr University, one of the most prestigious and acclaimed academic centers for natural health sciences. She received her Master's Degree in Acupuncture from the school as well as earned her Oriental Medicine Doctorate Degree. In the past few years, Dr. Wu has treated patients at the Bastyr Clinic and at Harborview Hospital in the Chronic Fatigue and International Clinics. Since joining the clinic she has treated thousands of patients with various ailments. Acupuncture can treat a variety of illnesses and problems. Dr. Vaughn Wu has successfully treated patients for pain relief (back pain, neck pain, leg pain, headaches, migraines), as well as for issues such as infertility, addictions such as smoking, allergies, and female hormonal and menopausal concerns. By incorporating her knowledge of Five Element and Auricular acupuncture, she has not only addressed patients’ physical problems but has helped many patients achieve better emotional and mental health. She has experience with many other concerns as well. Please contact us via phone or e-mail if you have a condition that is not listed, as most likely Dr. Wu will have had experience treating that condition. We would be happy to discuss with you our treatment plan and treatment options. If you have already made an appointment with our clinic, please click here for information on your first visit. 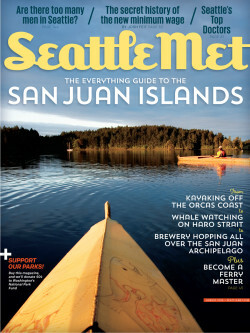 Seattle Metropolitan Magazine has featured our acupuncture in their Seattle's Top Doctors issue in August 2014. The list was voted on by nearly 1,200 physicians, nurses, and physician's assistants in King, Kitsap, and Snohomish counties, whom they would personally choose as their doctors if they were seeking treatment for themselves. Our clinic was also honored by Seattle Magazine in their List of Top Doctors (under Top Acupuncturists) in September 2000, September 2003, September 2004, September 2005, September 2006, September 2007, July 2009, and July 2013. Our clinic was honored by Seattle Metropolitan Magazine as a Top Doctor in August 2010 and August 2014. The Top Doctors list is voted on by medical doctors (MDs) and other healthcare professionals in the Seattle area. 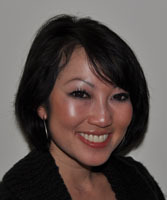 Dr. Vaughn Wu has been recognized by Angie's List with a Super Service Award in 2012, recognizing our clinic as one of the top acupuncture providers in the Seattle area with her excellent service and great care of patients! We are happy to answer any questions you may have about us or about acupuncture. Please e-mail us or call us. We will respond to you as soon as we can. Dr. Vaughn Wu is currently not accepting new patients.